At Red Peach Designs we provide other businesses with custom boutique web designs, creating beautiful and functional websites for our clients that attract customers can keep them coming back. Our designs are unique; ranging from feminine and stylish to clean and professional to scrapbook style and everything in between. We are a small home-based business, but love working with all size companies from start-ups to million-dollar enterprises. We don’t pretend to be bigger than we are, or something we’re not. We are simply a husband and wife team who has been doing this for many years, and we know how to make your business not only look fantastic online, but work for you as well. 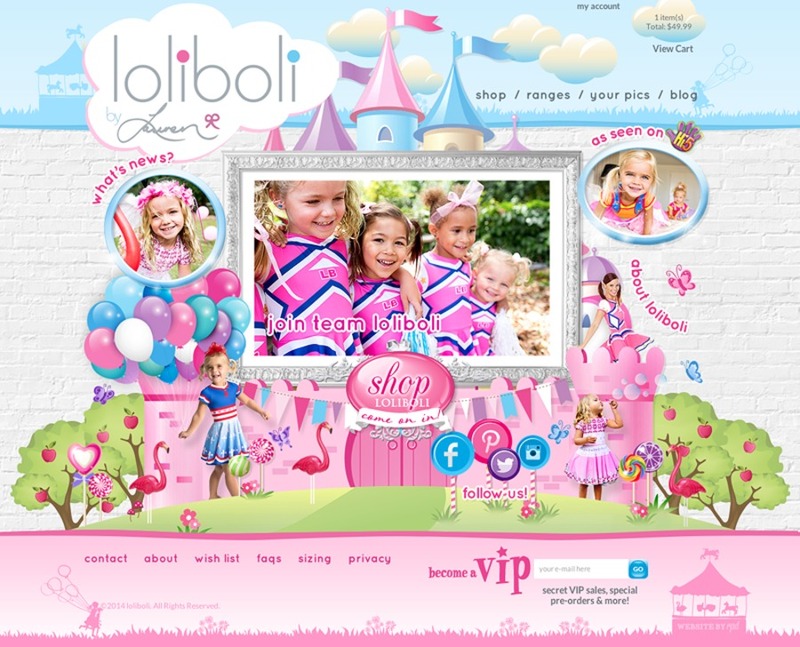 Children's clothing line created by Lauren Brant, member of Australia's Hi-5 TV show and touring band.